Since the failed coup in July 2016, Turkey has changed at an unprecedented pace under the AKP, with Erdogan at its helm. An investigative documentary about the rise of the AKP. Since the failed military coup in 2016, Turkey has changed at an unprecedented pace. 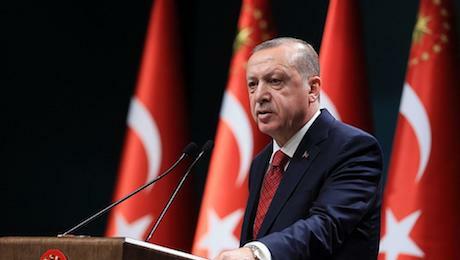 Just a few years before the centenary of the Turkish Republic, Erdogan’s „new Turkey“ could not be further removed from Atatürk’s vision of a western-oriented, secular democracy. Under AKP rule with Erdogan at its helm, the country is heading towards one-man rule. But such a concentration of power has its price: the economy is showing increasing signs of an existential crisis that could bring the country to the brink of collapse. This would have serious implications for Turkey, but also for Europe and the Middle East. 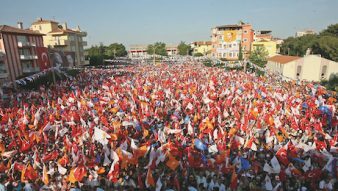 The documentary describes the AKP’s rise to all-dominant political force and the radical transformation of Turkey, driven forward with even greater urgency since the attempted coup. The film concentrates in particular on the period after the coup and on the effects of the parliamentary and presidential elections in 2018, although Erdogan is expected to face his first „stress test“ in the local government elections at the end of March 2019. Well-known protagonists and witnesses bring to life events and developments in the country.